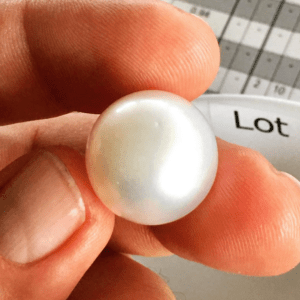 The South Sea produces large pearls… the largest in the world. This alone would not make them popular or valuable. But, when the amazing luster and color variation is taken into account it is easy to understand why South Sea pearls are among the most expensive in the world. South Sea pearl sizes range from 10 mm to 20 mm, averaging a robust 16 mm in size. In the past, finding South Sea pearls under 10 mm was rare. But, presently, many 8 mm and 9mm pearls are being harvested for specific jewelry creations. They’re called baby South Sea pearls. South Sea pearl sizes are large due to the oysters which produce them. The Silver-lipped oyster is the largest pearl-producing oyster in the world. Its closest competitor, the Akoya oyster, is barely half its size. So, it makes sense that the largest oyster would produce larger pearls. The South Sea oysters have a significantly longer pearl production periods than other mollusks. Most oysters take 12-18 months to produce just one pearl. A silver-lipped oyster nurtures its masterpiece for 2-4 years, a substantial difference. This extra time creates a significant build-up of nacre, creating a larger pearl, with amazing color and luster, hallmarks of the South Sea pearl. Although the long creation process of South Sea pearls contributes to larger sizes and deeper luster, it also can be the cause of more blemishes. The diminished South Sea pearl surface quality caused by these defects weigh down the overall quality rating of many large pearls. South Sea pearl buyers expect at least some pearl surface quality issues when buying the largest pearls from the region. There is no getting around it. Fortunately, these defects do not normally mar the natural beauty of the pearl, and often can be cleverly hidden in the jewelry making process. A typical South Sea pearl size chart compares the pearl with a penny. 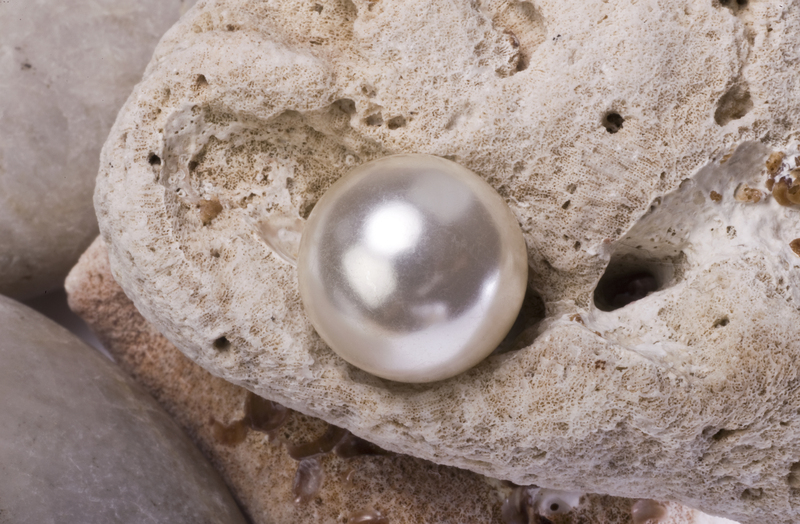 A 10-mm pearl covers roughly 30 % of a penny’s surface. A 16-mm sample covers approximately 65%. For comparison’s sake, a dime is 18-mm across. The largest South Sea pearls, at 20-mm, would easily cover a dime with room to spare. An entire strand of 16-mm pearls is a substantial piece of jewelry, especially in lengths longer than a choker. Because there are so many South Sea pearl sizes, it’s very difficult to find them at reasonable prices. Even the baroque pearls are large when compared to other varieties. 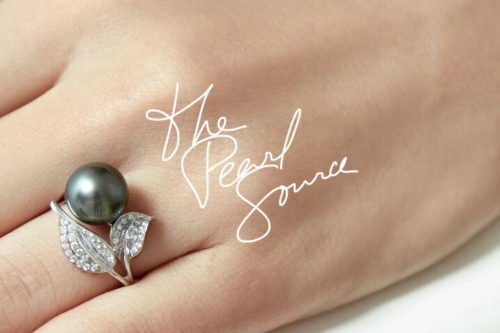 Although the cost makes owning a South Sea pearl difficult for most people, the high price tag also creates a feeling of luxury around the pearl. Owning a true South Sea pearl has become a statement of status and substance for the elite pearl lovers.